 It is with great joy I write my first Friday weekly update as the Interim Principal of the Annunciation School. As many of you already know, Annunciation has held a very special place in my heart from the moment I joined this community. I am honored to have the opportunity to further serve our school for the remainder of this year. I am very grateful to Fr. Grippo for entrusting this important role to me and for the valuable support he has offered during this time of transition. I am confident that with your support and partnership, the rest of the school year will be a successful one filled with learning opportunities that promote growth for our students. I will continue to collaborate with our teachers to shape our vision of academic success and tailor instruction to meet the needs of our diverse learning population. Most importantly, we will work together to carry out our mission of educating our students in the Catholic faith. I am extremely blessed to be working with our faculty and staff whom are pillars of strength, hope, and love for our children. Please submit re-registration forms by March 24, 2019. We raised over $920.00 this past Monday for the Leukemia and Lymphoma Society! Alumni Julia Geremia and Laura Finneran are so thankful for your generosity. Annunciation’s donation helped them exceed their goal of $5,000. Thank you, again. Progress reports sent home electronically March 15, 2019. Christmas DVDs and USBs are being sent home with your children today. 3/21 – Thursday – Science Fair – Grades 5-7 – NO HOT LUNCH – Students arrive at 6:45P.M., Gym – Doors Open 7P.M.